Jeff Bezos famously wants to emphasize game development for Alexa. That focus led to the developer rewards program which pays developers of popular skills based on user engagement metrics. It has led to the founding of new companies like Volley, Labworks.io and Pretzel Labs. However, established digital gaming giants are also looking closely at Alexa and how to engage users on the platform. Game maker Activision is using Alexa to augment one of the most popular games in the world. Activision announced today that “Call of Duty: WWII players will have an additional ally on their side,” with the new Alexa skill. It is available in beta today and requires account linking to the player’s account to function. The Call of Duty Alexa Skill gives every player a personal Call of Duty coach for the first time, using AI and machine learning to analyze how you play and providing tips on how to improve your gameplay based on your individual strengths, weaknesses and play style. This is not Activision’s first effort on Alexa. In December 2017, the company released the Destiny 2 Ghost Alexa skill that enabled users to invite friends and execute a variety of in-game commends by voice. The Call of Duty Alexa skill takes this further by introducing more game functionality and providing a voice-interactive coach for players. Activision’s Ellis explains the company’s clear rationale for taking this approach with the Alexa skill. This is an ideal partnership for Amazon. 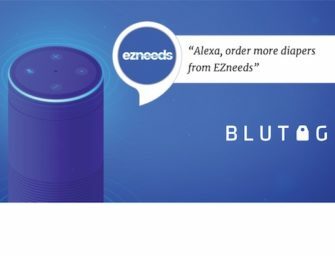 The company has a clear strategy to facilitate more frequent and in-depth interaction with Alexa to make it an essential device in every home. Call of Duty players could significantly increase the frequency and time spent with Alexa simply as an adjunct to normal gameplay. The first phase of Alexa skill development focused on standalone experiences. We are now seeing more third party integrations for information, commerce and gaming. In these scenarios, an Alexa skill is significantly enhanced by tapping into an API that provides dynamic content. It may even be that the Alexa skill is simply a feature extension of another experience like a video game. That provides good value for the game maker and Amazon benefits as well.